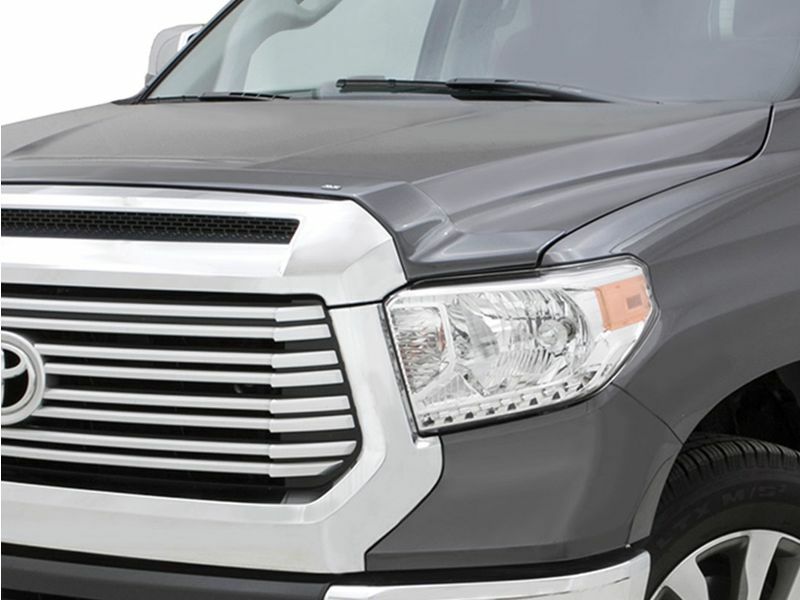 The AVS Color Matched Aeroskin Bug Shield is a perfect addition for front end protection. Not only will it protect from nasty bugs, dents, and dings, but it also looks stylish. The sleek, low-profile design stands out from others on the market. Each Color Matched Aeroskin has a snug fit to provide protection and give a streamlined look. This innovative design will instantly upgrade your truck! Choose the perfect paint matched finish, there are tons to choose from! Easily install the AVS Color Matched Aeroskin Bug Shield without any drilling. You can have it on in no time! Backed by a three year warranty, get yours today. The AVS Color Matched Aeroskin is backed by a three year warranty. There is an easy, no drill installation process on the AVS painted bug shield.